Want to build your own chatbot, but have no idea where to start? Well, ANA is here to help you with that. Platform: Backend API which serves the chat requests. 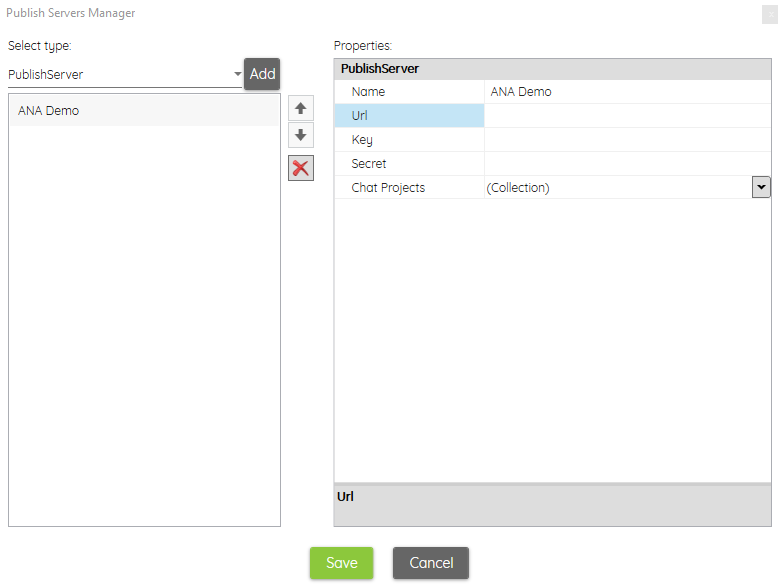 This component is responsible for merging the chat flow template with the chat content and returning the flow when requested by the clients. Studio: A conversation studio which creates a mind-map like flow with support for multiple languages within the same flow. Supports rich text, emojis, html and media content as the bot’s voice. And enables non-developers to edit the flow and its content at any given point of time, changes being reflected instantly. 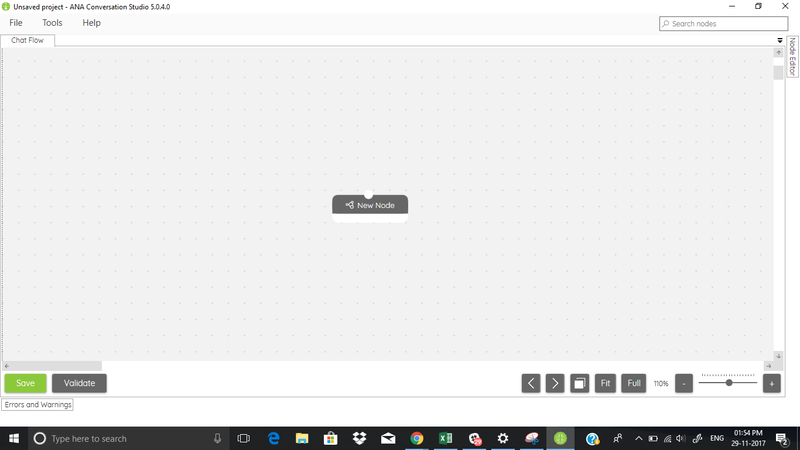 Simulator: Used to test and experience the chat flow. SDK: iOS and Android SDK which aid in integrating the chatbot with apps. Windows 10 PC with developer mode enabled. Developer mode is needed to install ANA Simulator as it is a Universal Windows Platform app usually distributed via Windows App Store. To enable developer mode, go to your PC Settings > Update & Security > For Developers. Under ‘Use developer features’, choose ‘Developer Mode’. If you have older version of windows, ANA Conversation Studio will install but the Ana Simulator will not be installed. You can still publish and use the chat bot in Web Chat, Android, iOS or Facebook Messenger. Download ANA Conversation Studio Setup x.x.x.msi from releases. Run it and follow the on screen instructions. 2. 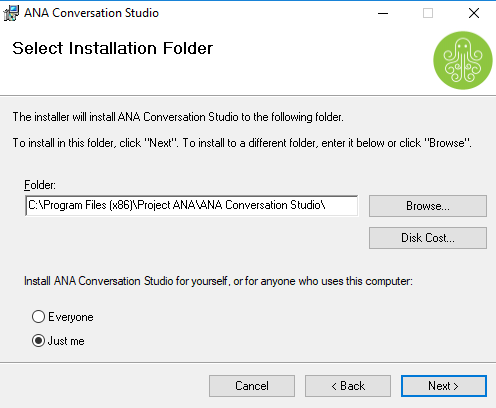 Once installation is complete, you can run the ANA Conversation Studio from the desktop or from start menu. To use localhost APIs in your chat, you need to run a small command which will unblock location APIs being used from the ANA Conversation Simulator. Open command prompt and run checknetisolation loopbackexempt -a -n=44cabbc3-0a2f-4255-b5bb-b099cd5762f9_hvc7j3s42jt6e. 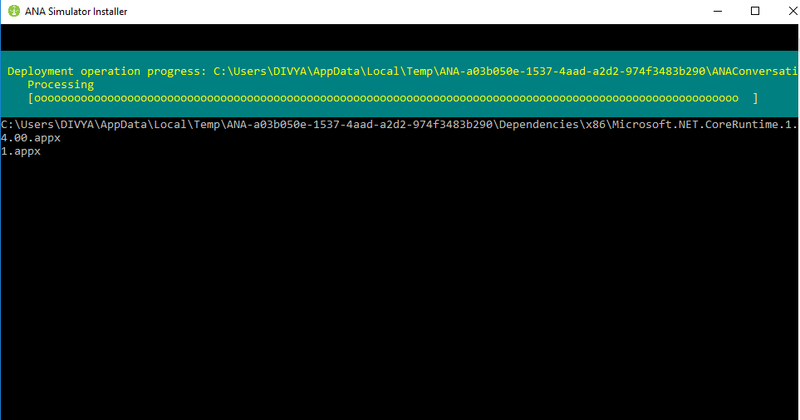 By default, localhost URLs are blocked in UWP Apps for security, above command will unblock it for only this particular app. Once you have created and tested your chatbot in the ANA Simulator in your computer, you would want to publish it. You can publish your chat bot once and have it live on multiple channels, be it Web Chat, Android, iOS or Facebook Messenger. Click here for instructions on how to setup one yourselves. 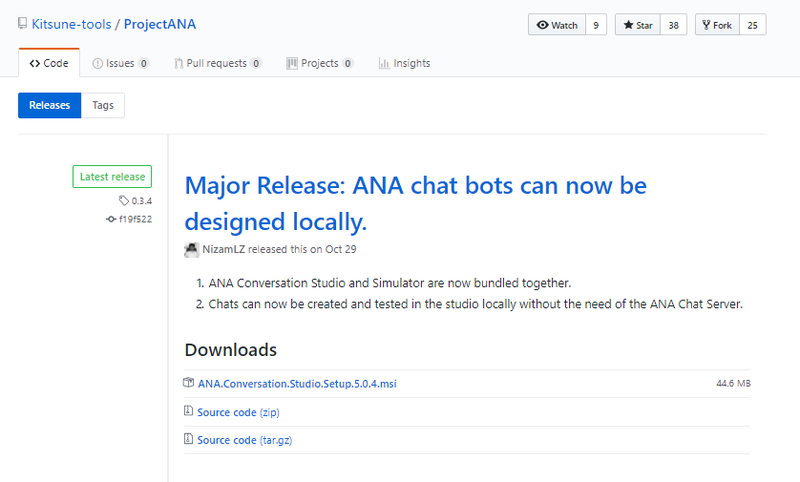 In ANA Conversation Studio, open the chat bot project you want to publish. Go to Tools>Publish. In the window that appears, click on ‘Add Server/Chat Project’. Now, in the window that appears, click on the ‘Add’ button to the top left, then select ‘New Publish Server’ that was added. Enter your ANA Chat Server details. The Server URL is mandatory and the Key and Secret are only needed if they are set in the chat server. 5. 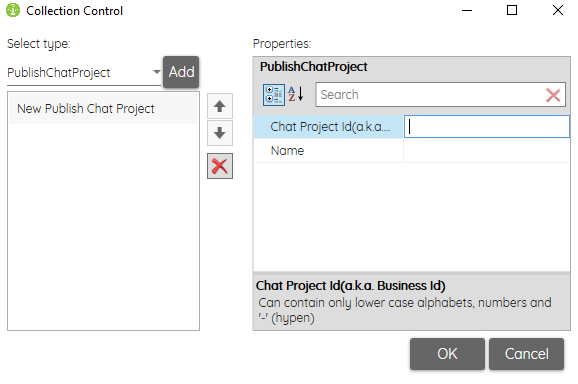 Click on ‘Chat Projects’ field. In the window that appears, click ‘Add’ and enter a new ‘Chat Project Id’ and also a Name. The ‘Chat Project Id’ a.k.a. ‘Business Id’ is the one you need to link this chat bot on Web Chat, Android, iOS or Facebook Messenger. 6. Click ‘Ok’ and then Click ‘Save’. You should be back to Publish Window. Choose the server you just created, in Server drop down. Choose the Chat Project you just created, in Chat Project drop down and click publish. The following channels are supported for deploying your ANA chatbot. Follow the links for instructions. Now that you have everything you need, go ahead and create your chatbots. For more information on ANA, look ahead for our blogs or visit us at ana.chat.